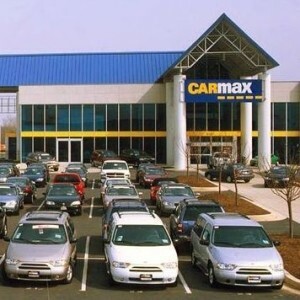 CarMax moves a lot of used vehicles, with about a half-million in sales per year from its approximately 135 stores nationwide. Even at that, CarMax represented only about 1.2 percent of the nation’s 42 million used sales in 2013. And that leaves a lot of room for competition, according to Sonic Automotive of Charlotte, NC, one of the country’s largest car-dealer companies which is planning a chain of used-vehicle stores. Sonic will open its first EchoPark retail store in Denver this autumn, providing no-pressure shopping to customers who are “disillusioned with traditional selling techniques,” reported The Wall Street Journal. Prices will be set to eliminate haggling and customers will deal with a single salesperson start to finish. Sonic’s sales of pre-owned vehicles currently are about 31 percent of CarMax sales, just under$4 billion, but executives are confident that used cars eventually will become the company’s core business. The megadealer now makes the rest of its $8.8 billion revenue from new-car sales. Sonic, which has designs on adding one to three major markets a year, with Florida, the Carolinas and Texas high on the list, has described its concept in terms shoppers easily will understand. “If they are the Wal-Mart of this model, I would say we are somewhere between the Target and the Starbucks,” David Smith, Sonic vice chairman, said recently, according to The Journal. Sonic isn’t the only dealer operator getting into the pre-owned market in a big way. The smaller Asbury Automotive Group plans a line of stand-alone stores, with its first opening in June in Tampa, FL. It’s no wonder that other auto groups want a slice of the used-car pie: The National Automobile Dealers Association reported that dealers generated 13 percent profit last year on the sale of each used car, more than three times the 3.8 percent profit on each new vehicle. CarMax reported an average selling price of $19,408 for used cars, a gross profit of more than $2,000, while Sonic reported an average price of $20,327 and gross profit of $1,402 per vehicle. Sonic officials expect EchoPark stores to sell pre-owned vehicles for an average of about $17,000.